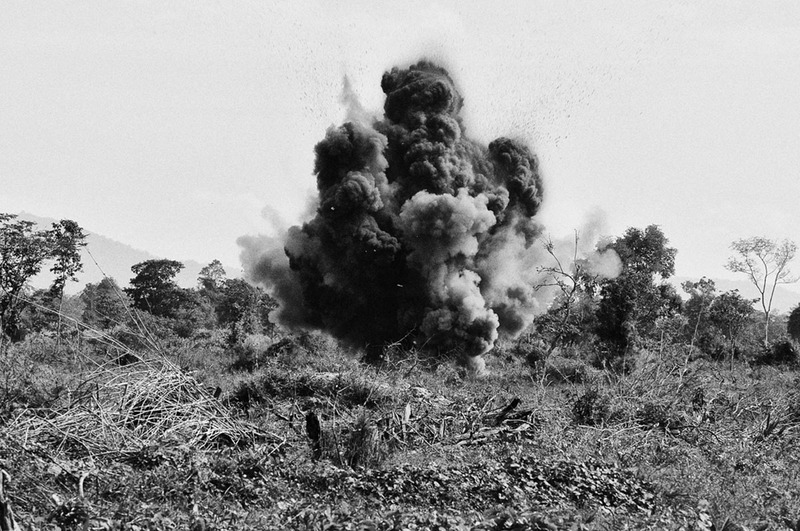 ‘‘The Price of the Wrong Step." 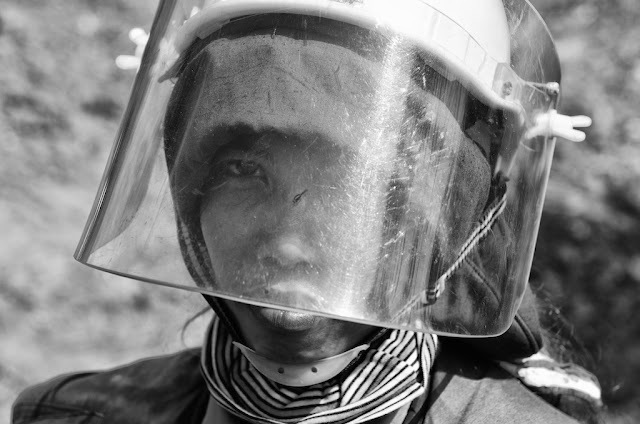 Words & Photography by Michael Klinkhamer © 2013 copyright. Landmines and other explosive remnants of wars still remain within Cambodia as a lethal legacy of many decades of wars and civil conflicts, which continued in some parts of the country until as late as 1998. 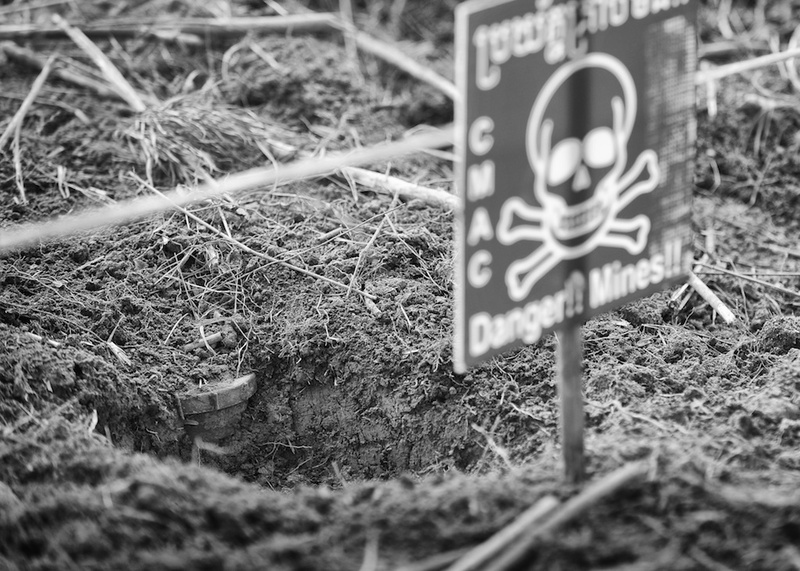 As a result, Cambodia became one of the most heavily landmine contaminated countries in the world. 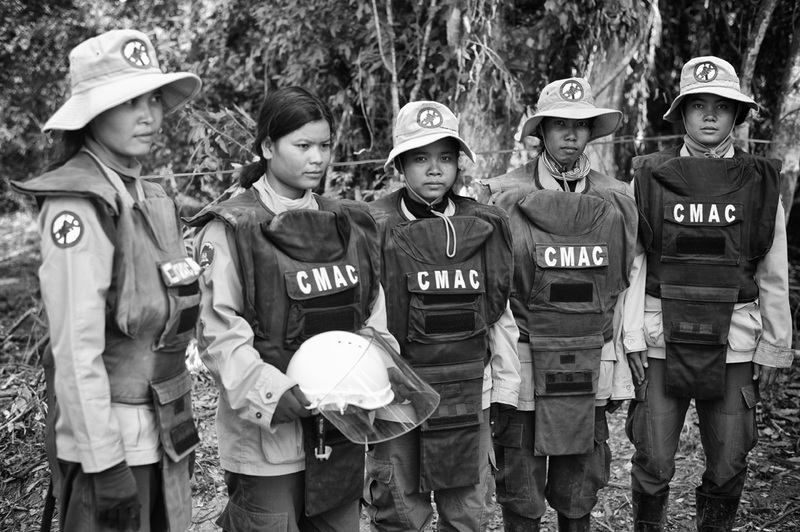 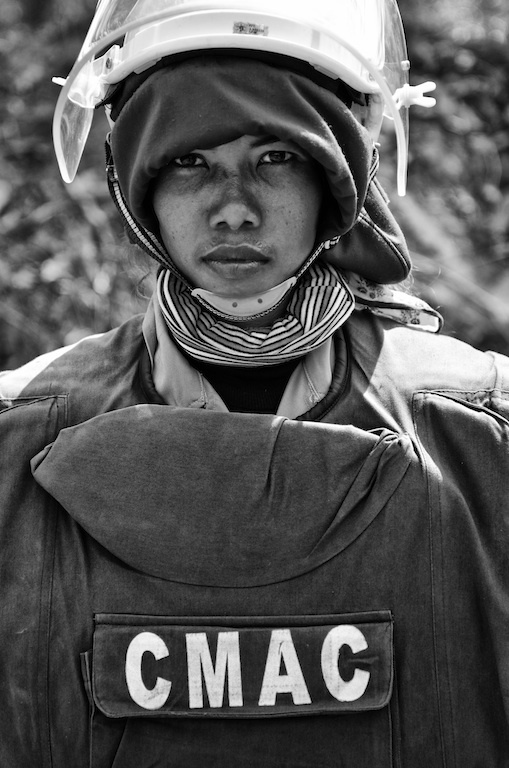 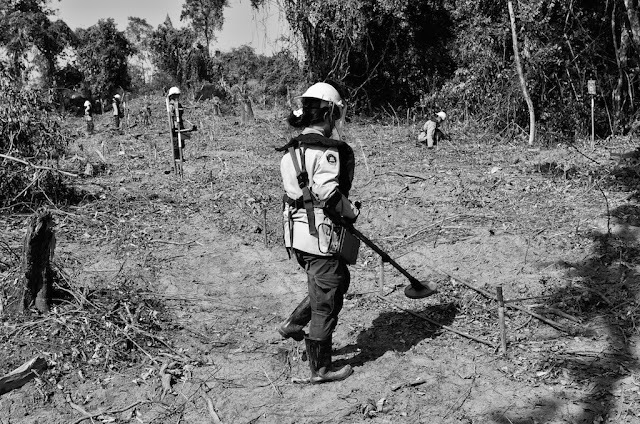 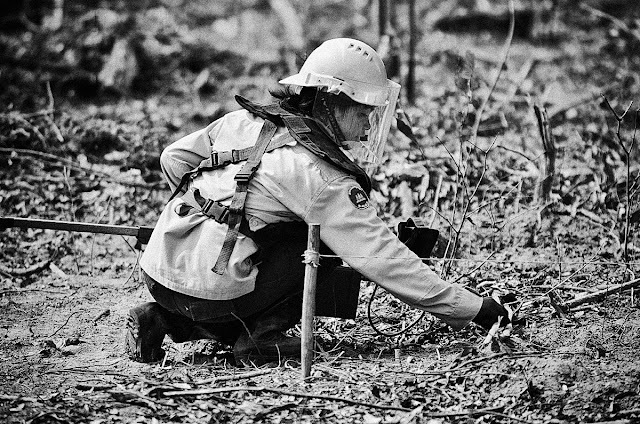 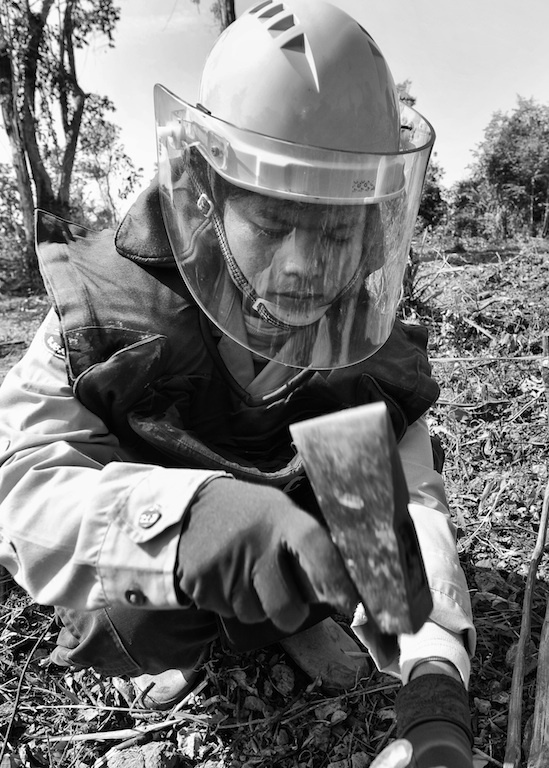 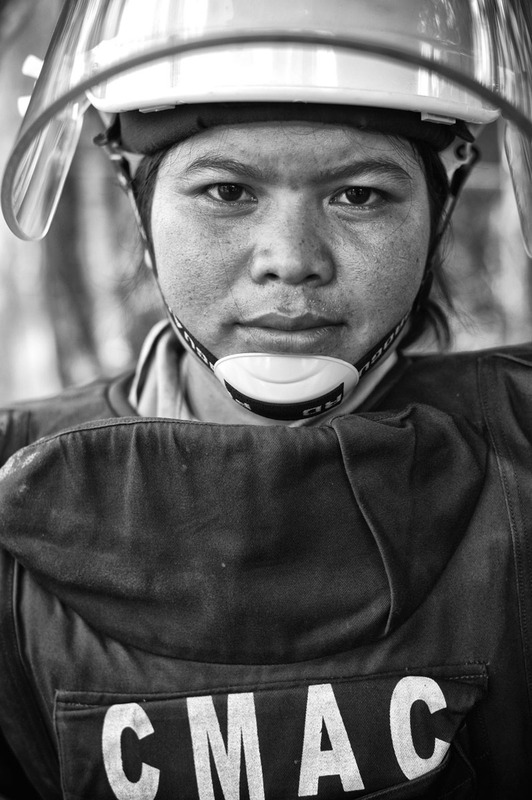 A brigade of young Cambodian CMAC (Cambodian Mine Action Centre) female deminers are clearing the land of those millions of explosives and anti personal mines still buried in the ground. 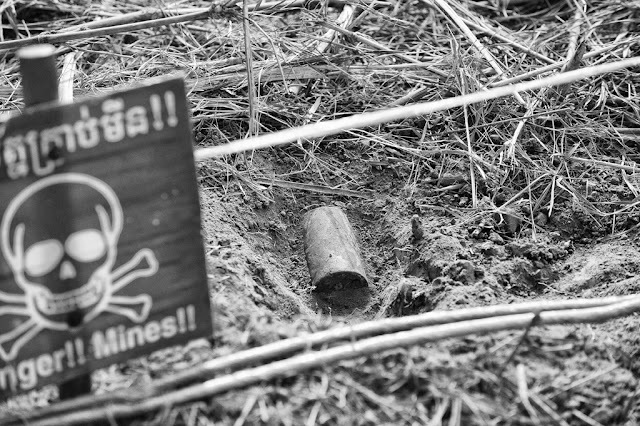 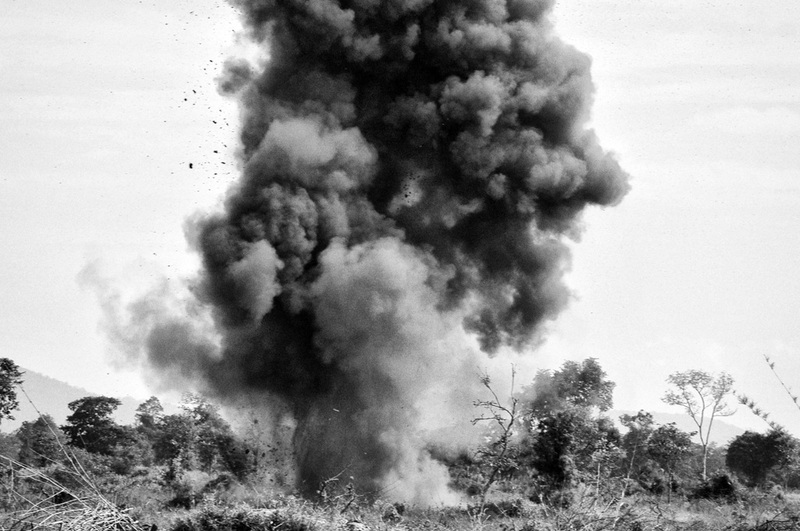 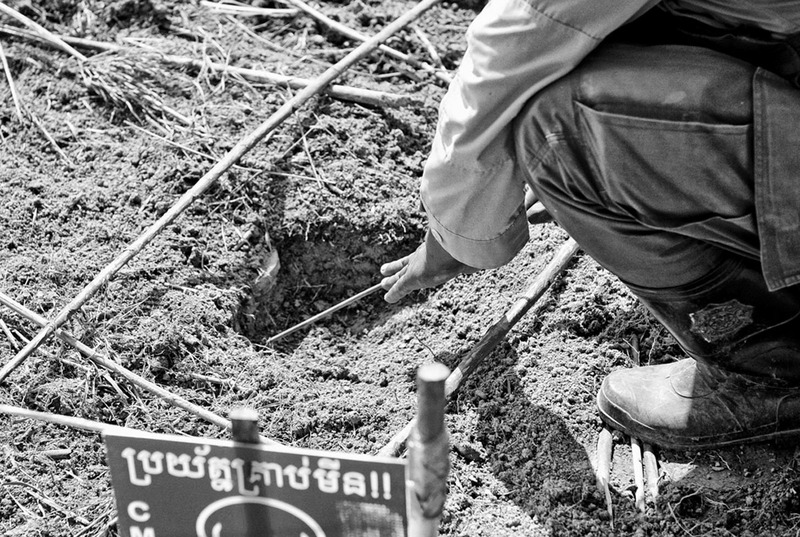 The Khmer Rouge regime, and after their retreat, the Vietnamese laid these minefields all over, many still very much explosive. 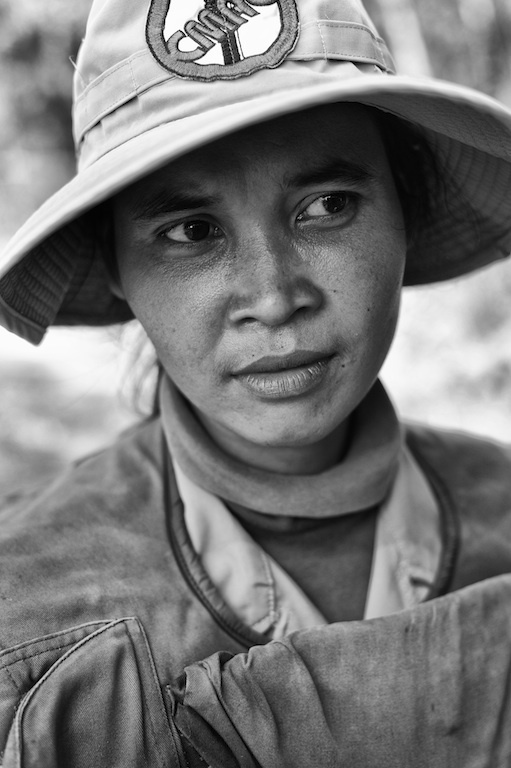 Resulting in Cambodia’s mostly unseen people’s tragedy and the most disabled nation's population on Earth. 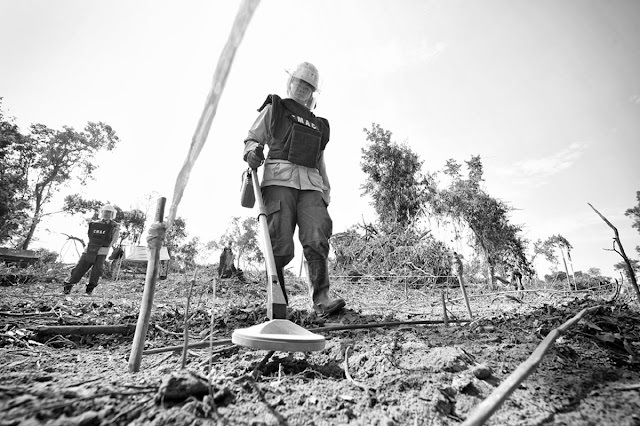 CMAC reports that there are between 6 to 8 million explosives still unrecovered. 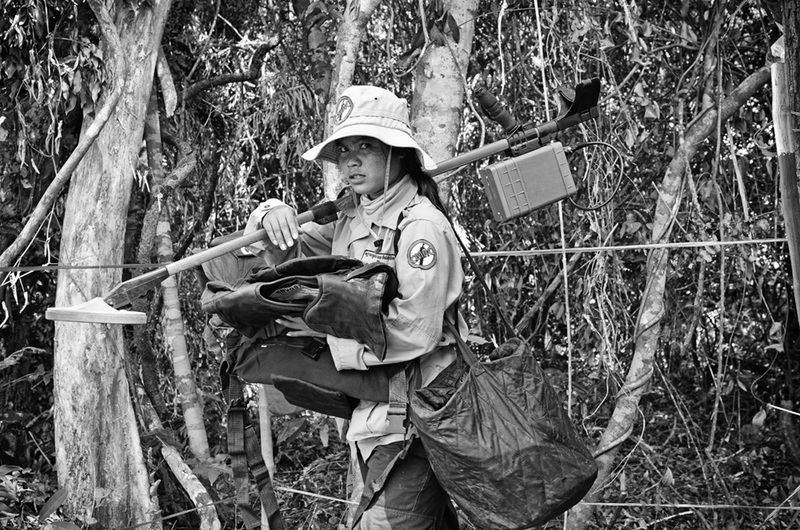 “I do this work to help my country”, says Dim Sokphea, age 20 years. While the sweat drips of her face. This group of woman work mostly in a group of five. 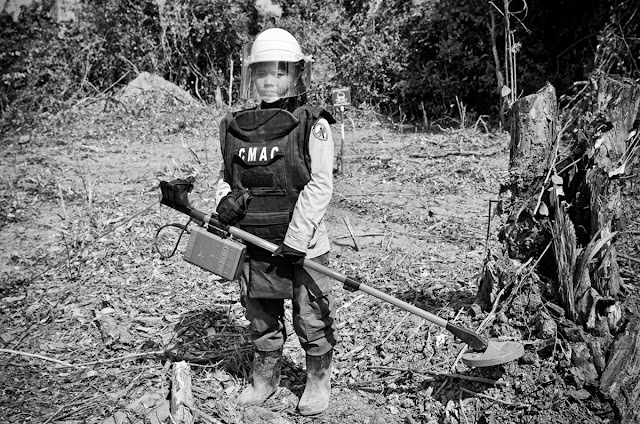 Supported each by a male assistant they go about meticulous and cautious. 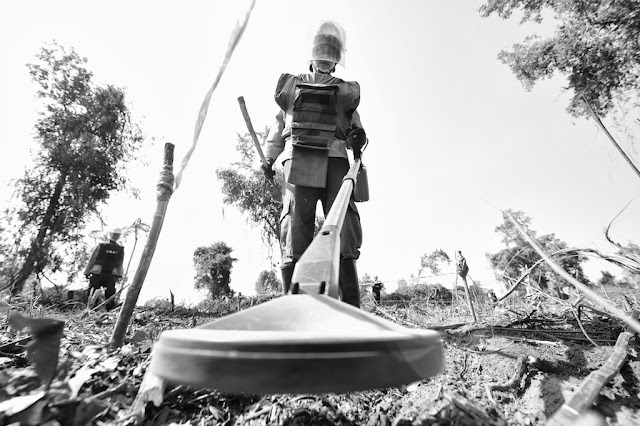 Scanning every inch of the ground with a metal detector, cutters and brushes before setting a next step forward. In between shifts of 3 hours of the highly controlled work in the scorching hot field. 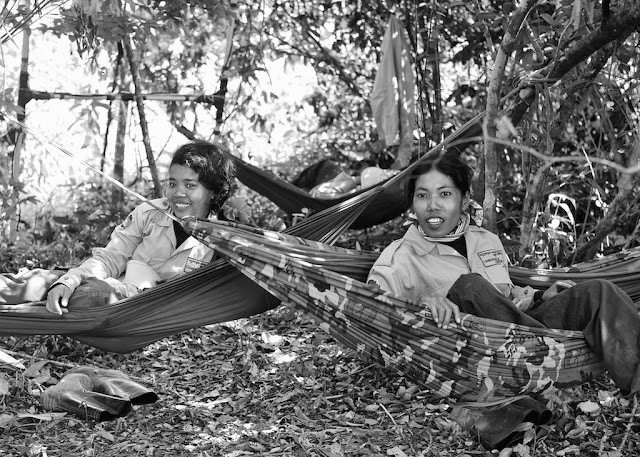 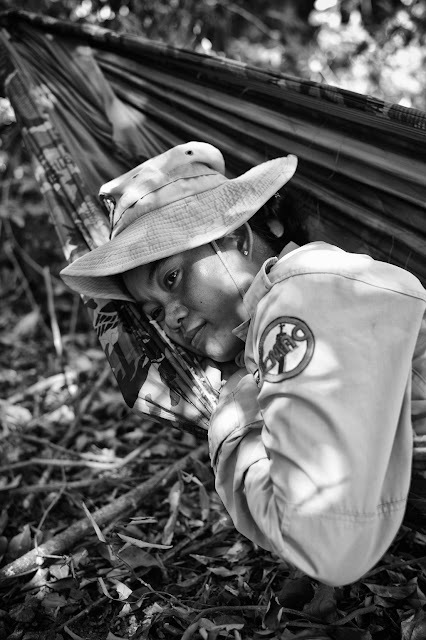 Between shifts they spend important time resting-and recovering from the heat and strain in bush hammocks, cooking, eating and playing games on their smart phones. Dreaming of a safe and good life, just like any other woman. 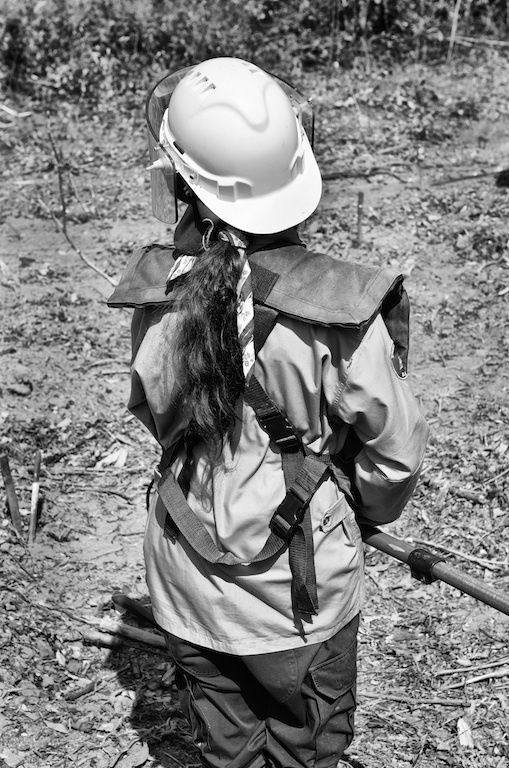 For each woman, during the work there is no room for mistakes in the mine field. 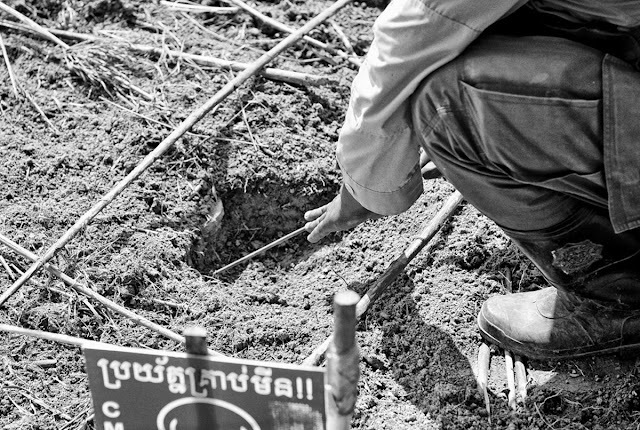 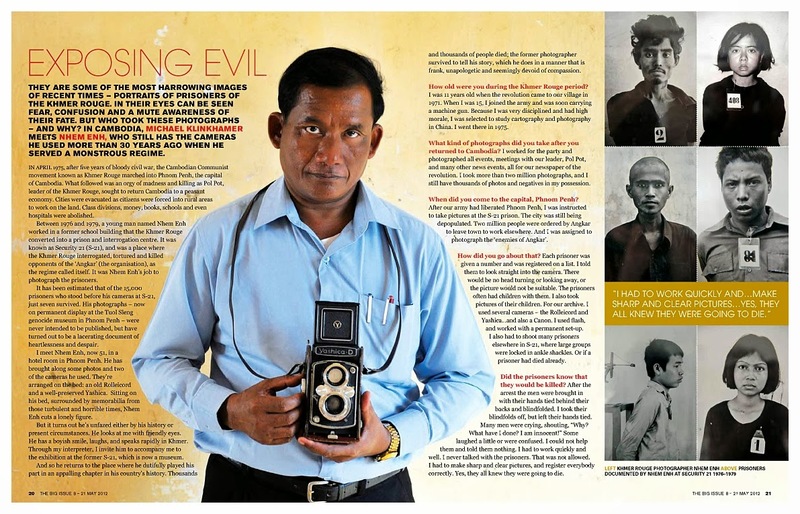 While the Khmer Rouge were the worst offenders during the 1975-1979 rule. 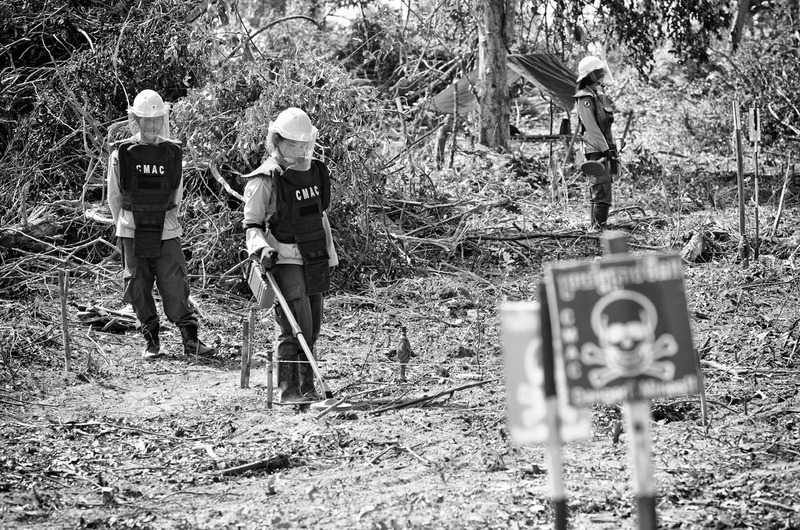 Deliberately targeting the civilian population with mines and booby traps, all sides have shown blatant disregard for the long-term consequences of the use of mines. 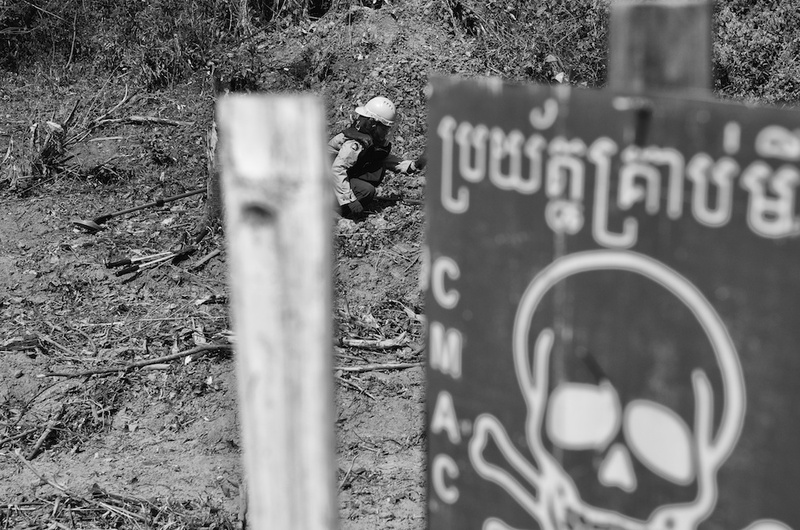 CMAC reports that mines found in Cambodia have been manufactured in the US, China, Vietnam, the former USSR, East Germany and Czechoslovakia. 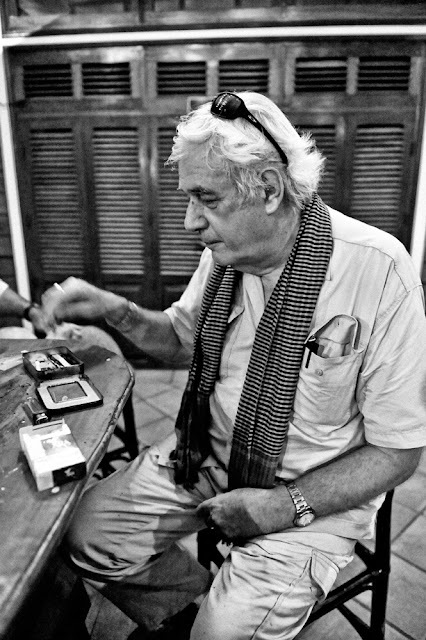 India, Chile, South Africa, North and South Korea, Thailand, Iraq, Bulgaria, Poland, and the former Yugoslavia and Hungary. 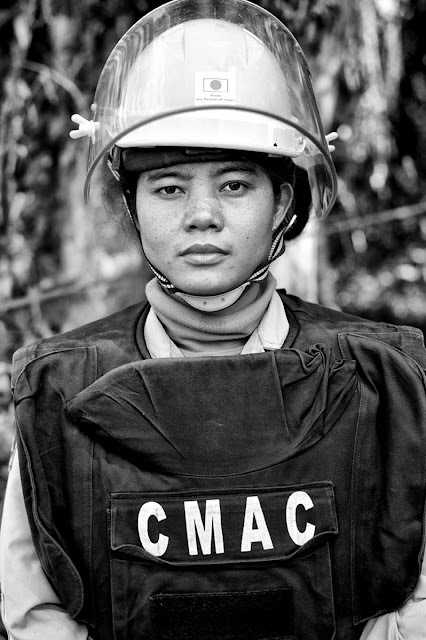 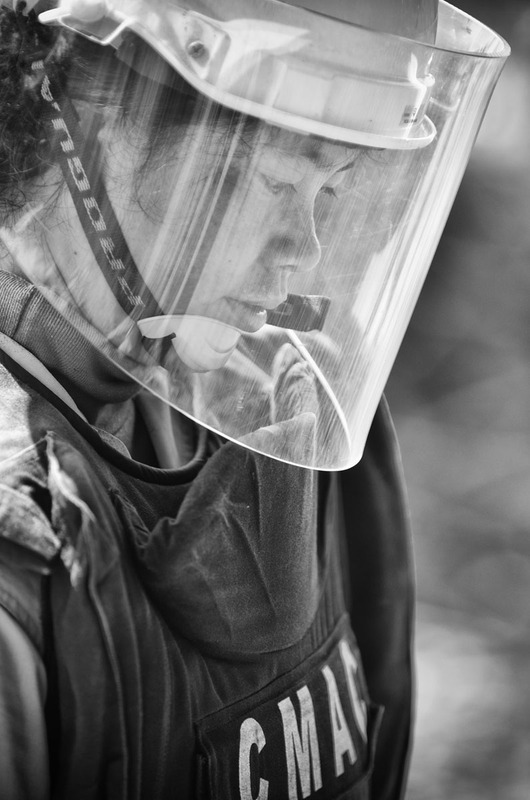 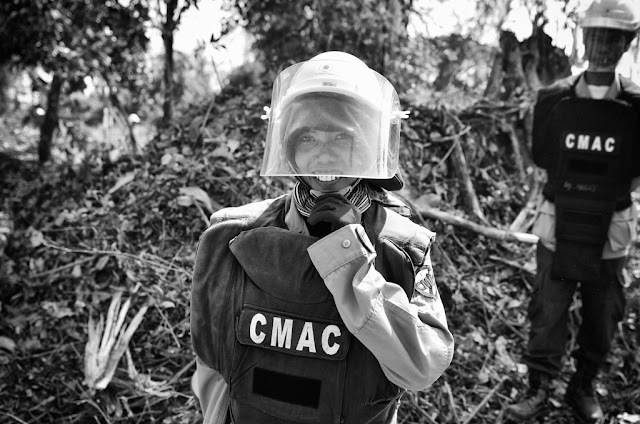 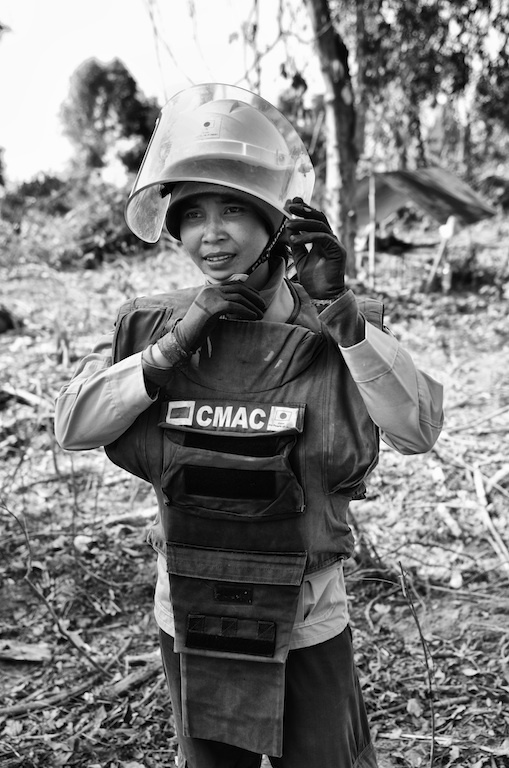 CMAC (Cambodian Mine Action Centre) woman work in the yet unsafe declared minefield day after day in hot tropical conditions. They are well aware of the hundreds of casualties the mines are still causing in Cambodia day after day.